A California law goes into effect requiring physicians to check the Controlled Substance Utilization Review and Evaluation System (CURES) before writing prescriptions for controlled substances. The idea for the database, which physicians had previously been accessing voluntarily, came from Bob Pack after his two children were killed by an opioid-addicted driver who had obtained prescriptions from six different doctors at the same hospital. October 30 (Tuesday) 2:00 ET. “How one pediatric CIN aligned culture, technology and the community to transform care.” Presenters: Lisa Henderson, executive director, Dayton Children’s Health Partners; Shehzad Saeed, MD, associate chief medical officer, Dayton Children’s Health Partners; Mason Beard, solutions strategy leader, Philips PHM; Gabe Orthous, value-based care consultant, Himformatics. Dayton Children’s Health Partners, a pediatric clinically integrated network, will describe how it aligned its internal culture, technology partners, and the community around its goal of streamlining care delivery and improving outcomes. Presenters will describe how it recruited network members, negotiated value-based contracts, and implemented a data-driven care management process. EWellness Healthcare CEO Darwin Fogt sells off his Evolution Physical Therapy clinics to “focus on becoming the industry thought leader in the new realm of digital telehealth physical therapy.” While thought leadership might inadvertently help pay the bills, I presume his goal is to focus solely on the company’s virtual rehab technology for employees, which offers patients app-based recovery exercises, virtual consults with physical therapists, wearables integration, and nutritional and wellness programs. 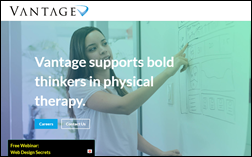 Post-acute care technology vendor Optima Healthcare Solutions expands its software and services for outpatient clinics with the acquisition of Vantage Clinical Solutions, which offers RCM and digital marketing and consulting services to physical therapy practices. 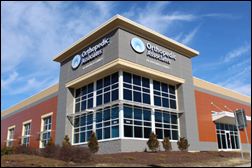 Orthopedic Associates of Dutchess County (NY) implements Compulink’s Orthopaedic Advantage EHR and practice management technology. DocuTap integrates InstaMed’s Auto Payment Collect tool with its EHR and practice management software for urgent care clinics. 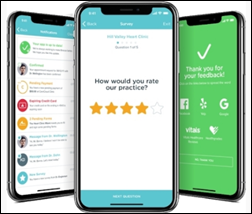 CareCloud updates its Breeze patient engagement and physician review software to include mobile patient feedback surveys, deeper integration with social media and physician review websites, and dashboards that deliver real-time insight into a patient’s care experience. App-based house call provider Heal joins Apple’s Health Record ecosystem, giving patients the ability to share their phone-based medical records with its OnCall app. HRSA contracts with AAFP for use of its Uniform Data System Mapping and Data Analysis Services, which helps users pinpoint neighborhoods in need of additional healthcare services. Researchers find that smaller, hospital-owned practices in wealthier neighborhoods have been more apt to participate in the Comprehensive Primary Care Plus program, a model of healthcare delivery that offers performance-based incentives and prospective care management payments. Non-participating practices in CPC+ areas were found to serve less affluent and educated patients, many who are Medicare and/or Medicaid beneficiaries, and who were admitted to the hospital more often for avoidable reasons. 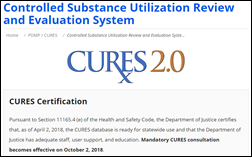 Researchers believe the program’s parameters should be adjusted so that resource-strapped practices that serve vulnerable populations can keep up with the transformation activities the program’s model requires. This is an interesting trend: In an effort to make it easier for physicians to operate small practices on their terms, R2 Medical Group offers scalable (almost on-demand) medical office space for rent that includes support staff if needed. 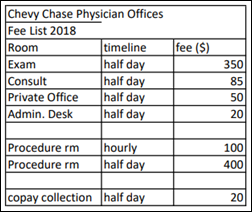 Physicians can opt to utilize the space based on hourly rates. WeShareMD has opened a similar business on the West Coast. Nordic wins a work-life balance award based on anonymous employee submissions in the large-employer category. AdvancedMD will host its annual user conference, Evo18, October 3-5 in Salt Lake City. Aprima will exhibit at AAFP’s annual meeting October 10-12 in New Orleans. Culbert Healthcare Solutions will exhibit at the Cerner Health Conference October 8-12 in Kansas City, MO.